What Is Hyaluronic Acid And Why Is It In My Skincare Products? Hyaluronic Acid is my skincare hero. Whenever my skin gets a little dry and flaky, I just have to put out an SOS and it comes to save the day. Within a few short days, my skin is back to its soft, plumpy self. This may sound surprising and a little stalkish, but Hyaluronic Acid has been with you since birth. It’s a glycosaminoglycans (a fancy way of calling long, unbranched sugar) that naturally occurs in your body’s connective tissue. In plain English, Hyaluronic Acid is part of the glue that holds skin cells together. Fun fact: this superhero owes his name to hyalos, the Greek word for glass, and the sugar uronic acid. Yep, if you could see Hyaluronic Acid with the naked eye, it’d have a glossy appearance. Here’s how it works. Hyaluronic Acid is a humectant. That’s a fancy way of saying that it attracts moisture from the environment into the skin, pumping up its hydration levels. Other ingredients do this. Glycerin and Urea spring to mind immediately. But Hyaluronic Acid goes the extra mile: it can bind up to 1000 times its weight in water! That’s a waterfall of moisture! Like Korean skincare teaches, hydrated skin = happy skin. When skin has all the moisture it needs, it his softer to the touch; it’s all plumped up, which in turn makes wrinkles look smaller; and has that beautiful dewy glow that makes it look like it’s lit from within. As a rule, anything that is bigger than 500 Daltons can’t penetrate the skin. Guess what? Hyaluronic Acid is way bigger than that. No worries, it still works. Hyaluronic Acid stays on the surface, plumping up and hydrating the most superficial layers. But if you want the added benefits of increased elasticity etc, it needs to penetrate the skin. Yep, these days, Hylauronic Acid comes in all sizes. 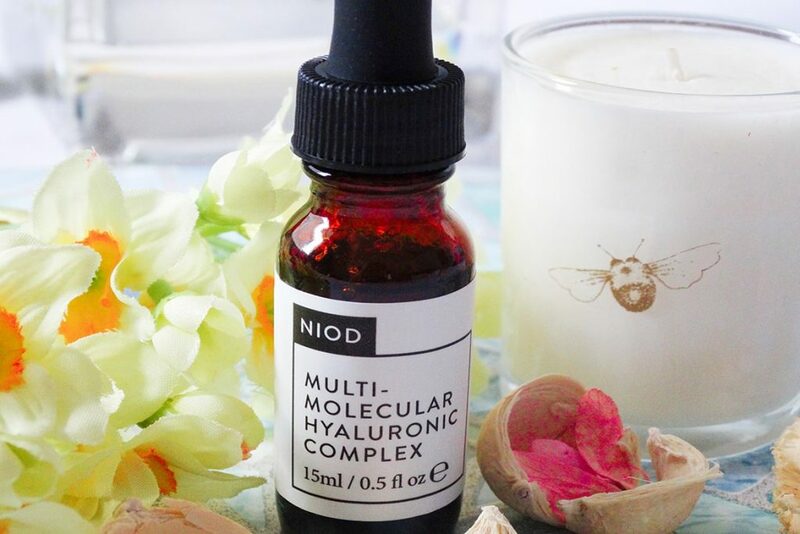 Niod Multi-Molecular Hyaluronic Acid Complex, for example, uses 12! Some of these forms are big and stay on the surface of the skin while others are smaller and can get in. I wouldn’t use too many of the smaller forms, though. Low molecular weight Hyaluronic Acid is too friendly to other molecules, helping them slip into the skin, too. If one of them happens to be irritating, or your skin is particularly sensitive, this may cause inflammation. Mind you, this is a problem with all penetration-enhancers. That’s why you need to read the labels to ensure there’s nothing irritating in your products in the first place. 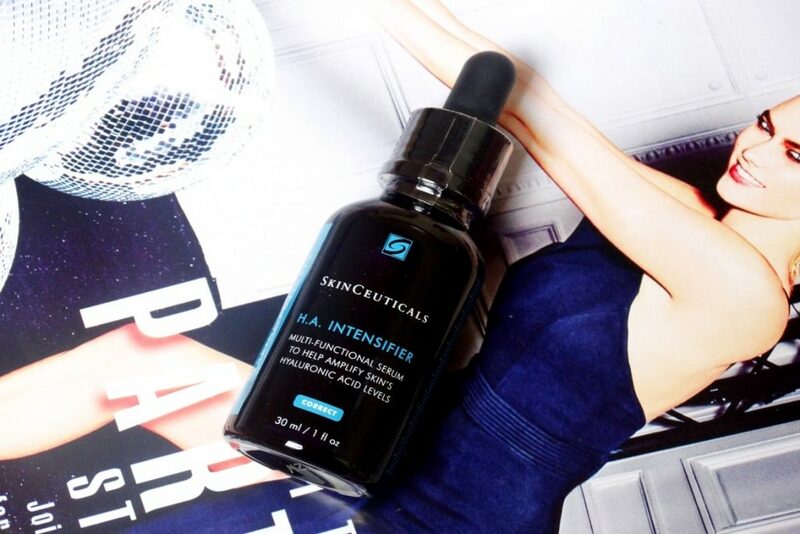 One more thing: Hyaluronic Acid works best at concentrations BELOW 2%. Don’t worry if you don’t see it at the top of the ingredient list. It’ll still do the job fine. What Are The Best Products With Hyaluronic Acid? Hyaluronic Acid is a godsend for dry skin: it plumps it up, hydrates it and gives it a soft, dewy glow. Just don’t go overboard! Do you use products with Hyaluronic Acid? Share your favourites in the comments below. yes, I do use hyaluronic acid. It’s one of my favorite skincare ingredients. 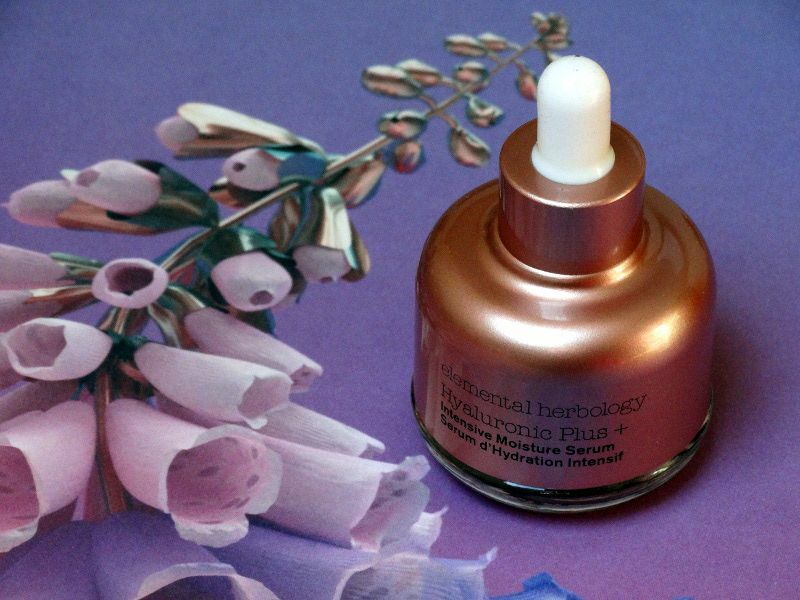 It’s funny that Japanese skincare has included hyaluronic acid for ages and Western skincare companies just caught up on the trend very recently. Dao, it’s one of my favourites too. 🙂 That’s funny indeed and about time too! What is your experience with Hyaluronic Acid? Do you have any personal reservations about using it on your skin? I do use products with Hyaluronic Acid and I love how it keeps my skin so soft & smooth! I do like how it plumps up my skin temporarily too. Makes it look healthy! I love hyaloronic acid in my skin care products, too! alluring_mum, it’s a great ingredient, isn’t? It makes skin so soft and plump! I’d love to use hyaluronic acid, but there are only two possibilities available here, and both are approximately 4 times the price of HA in, say, the US. Ana, that’s so unfair and annoying! I hope someone will reasonably priced Hyaluronic Acid product soon so you’ll be able to buy it. Hi Gio! Wondering your thoughts on the OZNaturals Hyaluronic Acid? I’m wanting to go towards a more natural skincare regimen. How would it compare to the NIOD Multi-Mollecular Hyaluronic Complex? Kelsi, it really depends what it is you’re looking for. OZNatural has way more antioxidants that NIOD but it doesn’t look like the packaging was coated against UV rays so they won’t last long. 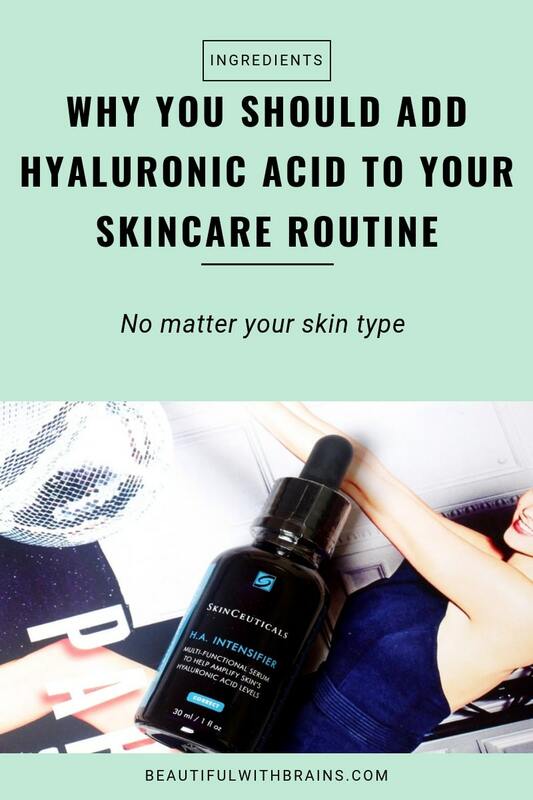 If you’re looking for a hylauornic acid serum for dry skin, you literally can’t beat NIOD Multi-Molecular Hyaluronic Acid complex. It has more forms of hyaluronic acid than any other hyaluronic acid serum I’ve come across so far. So I use The Ordinary’s Hyaluronic Serum at the end of my regimen both AM and PM before moisturising. I have read somewhere that it should be used on damp skin, as otherwise it can dry your skin out as it can pull moisture out of your skin. Is there any truth to this and if so should I use a toner or something before I use the serum or will a moisturiser on top be enough? I use acids and vitamin C in the morning prior to Hyaluronic serum. Thanks!! Lauren, if there’s isn’t enough moisture in the air, some humectants will draw it from the deeper layers of your skin and that could dry it out. But if you’re not experiencing tightness or dryness, I wouldn’t worry about it. Just keep doing what you’re doing. I have read one of your post saying we should layer hyaluronic acid with other acids which we use. Are these sequences correct and please let me know if there is too much layerings in the routine. In the AM- Clease> SCINIC First Treatment Essence> The Ordinary Magnesium Ascorbyl Phosphate> The Ordinary Resveratrol & Ferulic Acid> Artnaturals Hyaluronic Acid> Moisturizer> SPF. At PM- Cleanse> SCINIC First Treatment Essence> The Ordinary Lactic Acid 5%> Artnaturals Hyaluronic Acid> Moisturizer/Sleeping Mask. I’m 28 years old, dry and dull skin, super new to acids. Claire, the order is correct. If you don’t feel you like you’re wearing too many layers, have an unpleasant residue on the skin, there’s no need to remove anything. Just wait a few minutes for them to absorb and then go in with the next. Hi Gio, thanks for your relpy. I just realized the Ordinary Magnesium Ascorbyl Phosphate is in cream form, the website suggest it should be applied after water-based serum. Should I still apply it before hyaluronic acid serum? Claire, if the hyaluronic acid serum has a thin texture then yes, you can apply that first. Hi Gio, just to double confirm, the texture of The Ordinary HA is considered as thick or thin? ☺️ In general, serums are in thick texture, so can I say that serums should be applied after The Ordinary MAP? 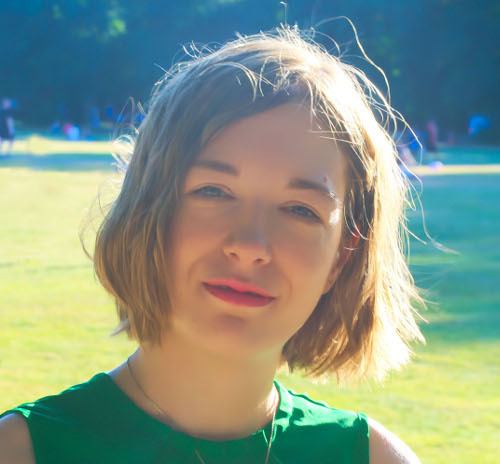 Claire, in this case, I’d apply MAP first anyway just cos it’s so important to maximise the penetration of vitamin C, while hyaluronic acid works even if it stays on the skin. But, in general, it’s not about what kind of product it is. The best way is to try the texture of each product on the back of your hand and see which one is more lightweight and sinks in quicker. As I am understanding it, hyaluronic acids grab moisture from the air. Once I put a moisturizer on my face, can moisture come through that. I was under the impression that a moisturizer “sealed the products and moisture in”. Does it then keep moisture from the air out? BTW, found your sight a few weeks ago and I LOVE IT! Thanks so much for sharing such valuable information about skincare, Gio. Finding so very much great information.